So far this year we haven’t had a significant snow fall here in Indy. My kids are looking for that to change so they can go outside and build a snowman. 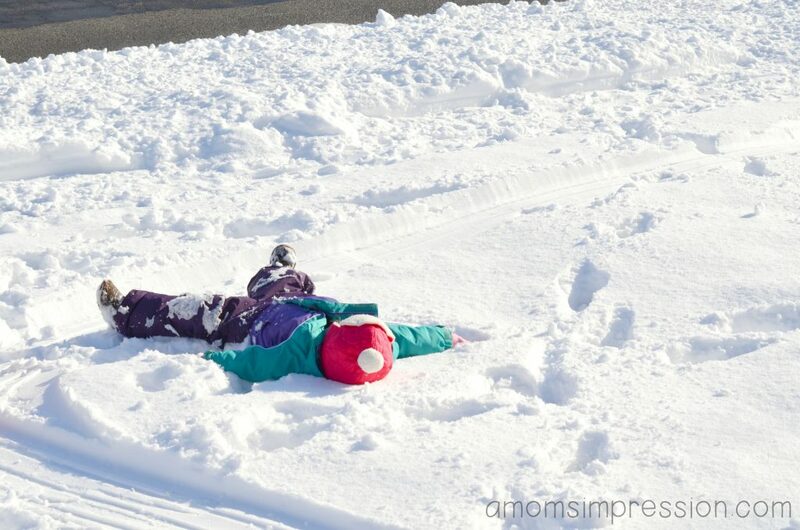 Caroline still talks about making a snow angel and I personally love how beautiful the snow makes everything. While we wait, I thought it would be fun to gather some fun Kid Winter Activities from all over the web for you to enjoy. Even though the weather is getting colder, you can still enjoy some fun moments with your kids outside or in. Mix up a batch of Frozen Winter Slime to play with. Squishy fun! Craft ornaments for your Christmas tree. 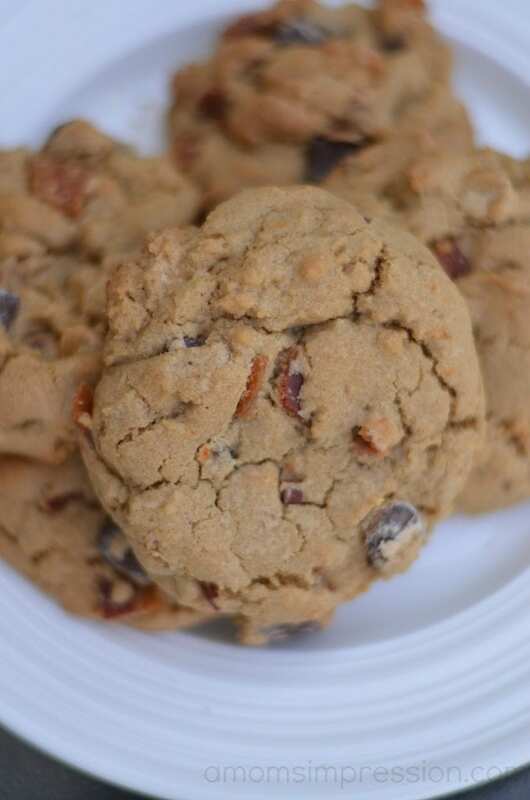 Bake a batch of yummy cookies to give as a gift. Pretend to make hot chocolate with this fun hot chocolate cloud dough recipe. Or make some real hot chocolate to enjoy together. Build a snowman activity tray. A snowman science experiment is fun and educational! Magic puffing snow is so much fun for the kids, especially if you don’t get snow where you live. Help the birds this winter with some DIY birdfeeders. Make snow globes with some of your kids’ plastic figurines. They make wonderful gifts. Build a snowman, and add birdseed to his hat or hanging off of his arms. Use q-tips to make pretty dotted snowmen. Make maple syrup snow candy. It’s so, so good. It just isn’t winter without a fun penguin craft. This one is made out of paper cups. So easy! Go outside to make and observe frozen bubbles. They’re beautiful. 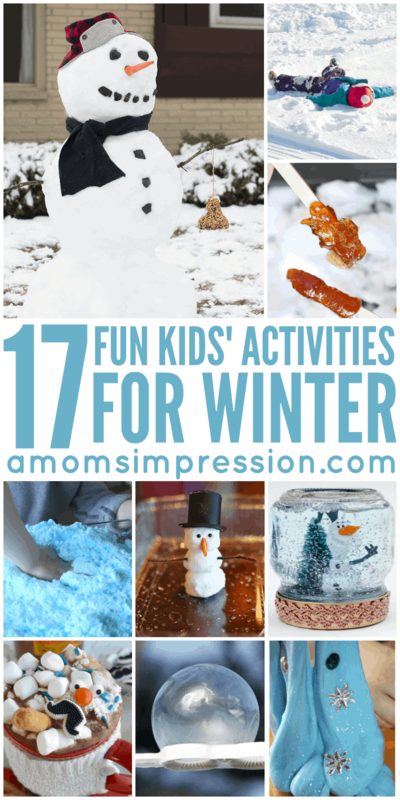 These are just a few of my favorite activities to do with kids in the winter, I would love for you to share some of yours! Come and join us on Facebook to join in the conversation! For more Winter fun check out our 15 Winter Kids Crafts Ideas! « Do I Actually Need a WiFi Camera Monitor for my Baby?